Newspaper Rock: Cooperstown changes "Redskins" to "Hawkeyes"
Cooperstown Changes Mascot from Redskins to HawkeyesAthletes in Cooperstown, New York will no longer be known as the Redskins. On April 23 the Cooperstown Board of Education unanimously voted on the new nickname—beginning July 1, athletes at Cooperstown Central School will be the Cooperstown Hawkeyes. The Little Falls Times reports that the school’s orange and black colors and emblem will remain the same. The school board voted in March to get rid of the Redskins nickname by June 30. Other options included the Pathfinders, Pioneers and Huskies. To use the Hawkeye name school officials needed to get approval from Thomas Hickey, president and owner of the Cooperstown Hawkeyes, a collegiate baseball team. Hickey agreed to share the name. The school expects new uniforms will cost anywhere from $5,000 to copy0,000—a cost the Oneida Indian Nation has said it would help offset. That wasn't so hard, was it? The name changed and the world didn't end. 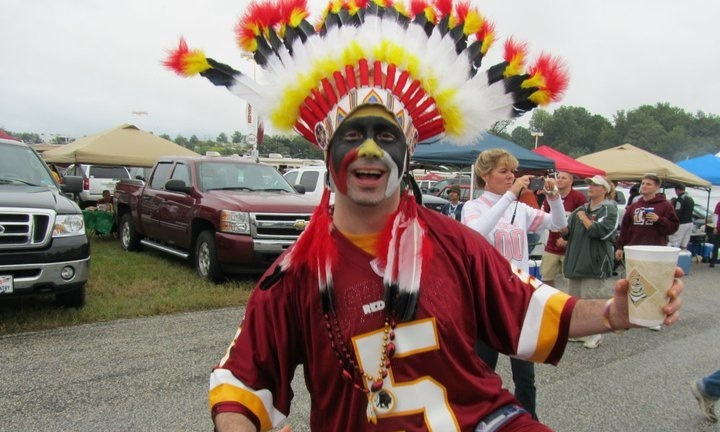 So far no "Redskins" fan has died of shock or a broken heart, but officials are monitoring the situation closely. D.C. Council May Push Redskins to Change Name to RedtailsIf a D.C. Council member gets his way, the NFL's Washington Redskins may soon be the Washington Redtails. Councilman David Grosso, elected last year, is preparing a resolution, albeit a non-binding one, that would call on owner Daniel Snyder and his Washington NFL team to change its name to the Redtails. If the name Redtails sounds familiar--and hopefully it does--its because the Tuskegee Airmen used that nickname. The Tuskegee Airmen were the pioneering airmen who broke the color barrier for U.S. pilots during World War II. A plane used by the Tuskegees was recently put in a place of honor in the Smithsonian. Grosso is intent on getting his resolution introduced, formally so within a few weeks, calling the football team's current name "a derogatory, racist name." “It’s been a long time that we’ve had this name associated with Washington, and I think its time we take a stand and change it,” Grosso told The Washington Post. Pressure has risen on the club to change the name recently, in the court of public opinion, the U.S. legal system and the U.S. Congress. D.C. Mayor Vincent C. Gray said earlier this year that the team should change its name. "Redtails" isn't an impressive name even if it honors the Tuskegee airmen. "Redhawks" or another "Red-" name probably would be better. But never mind. But others are pushing back against the mounting pressure. The Dubious Logic of 'The Washington Times' on the Redskins IssueIn an editorial posted online yesterday, The Washington Times examined the recent news of Washington, D.C. Council member David Grosso proposing to introduce a resolution that would ask the Washington Redskins to change their name to Redtails. Grosso described the term as a "derogatory, racist name," which many Native Americans would agree with. In "Hail to the Redtails?," the editorial board of the Times suggests that "This issue bubbles and squeaks from time to time because certain politicians are more concerned with getting their names in the newspapers than with the pain of the masses who are not offended by a name honoring the bravery and fighting spirit of the original Americans." The pain of non-Indians who might have to stop using a terrible ethnic slur? Boo-hoo! How horrible to infringe on their right to mock and hurt others! By Tom LeyThe Washington Times decided to publish an editorial titled "Hail to the Redtails?" in which some moron tries to argue that changing the name of the Washington Redskins is a bad idea. It contains two of the dumbest sentences in the history of written language. The editorial was written in response to D.C. city councilman David Grosso's plan to introduce a resolution that would demand that the Redskins change their name to the Washington Redtails, in honor of the Tuskegee Airmen. It contains this sentence:But if “Redskins” demeans Indians, why wouldn’t “Redtails” demean fighter pilots?Buh? I don't...what? I don't even think Sarah Lee from Osceola, Ind., would be on board with that sentiment. RG3: The Redskins Name and the 'Tyranny of Political Correctness'RG3, perhaps better known as Robert Griffin III, the star quarterback of the Washington Redskins has taken to Twitter to air his views about the D.C. NFL club's controversial name, considered racist by many Native Americans. “In a land of freedom we are held hostage by the tyranny of political correctness,” RG3 tweeted on his official Twitter account. He followed that up with a definition of tyranny: "Tyranny- "a condition imposed by some outside agency or force living under the tyranny of the clock" or political correctness...."
The Heisman Trophy winner's comments came soon after it was learned that D.C. Council member David Grosso would be formally introducing a resolution to push Daniel Snyder's NFL team to change its name from Redskins to Redtails. An outpouring of tweets followed in response, on both sides of the redskins issue. “Tyranny? Do we share a common reality?” one person tweeted back to RGIII. “Loyalty to local racist named team fading…fading,” wrote another.Anyone who thought RGIII might speak out against the racist team name was sadly mistaken. AP Poll: Four in Five Americans Wouldn't Change Redskins NameAccording to a new Associated Press-Gfk poll, the name “Redskins” still enjoys widespread support. Nearly four in five Americans don’t think the team should change its name, the survey found. Only 11 percent think it should be changed, while 8 percent weren’t sure and 2 percent didn’t answer. Although 79 percent favor keeping the name, that does represent a 10 percentage point drop from the last national poll on the subject, conducted in 1992 by The Washington Post and ABC News just before the team won its most recent Super Bowl. Then, 89 percent said the name should not be changed, and 7 percent said it should. The AP-GfK poll was conducted from April 11-15 and included interviews with 1,004 adults on both land lines and cell phones. It has a margin of sampling error of plus or minus 3.9 percentage points. Among football fans, 11 percent said the name should be changed—the same as among non-fans. Among nonwhite football fans, 18 percent said it should change, about double the percentage of white football fans who oppose the name. The AP does not report further demographic breakdown, such as the number of American Indians polled.A 20% disapproval rate is nothing to sneeze at. That was about the percentage who didn't approve of Bush's invasion of Iraq, initially. More important, unless the poll explains the context--why Indians are offended by "Redskins"--the results are probably invalid. 'Nuff said about fans who don't want to give up their racist attitudes. For more on the Washington Redskins, see Hundt: "Redskins" Is Indecent, House Bill Challenges Redskins Trademark, and Cooperstown Changes "Redskins" with Oneida Help.